When you talk about doing damage, you aren’t talking about the Red Sox on the campus of Merrimack College. You’re talking about the Merrimack College Women’s Basketball team. 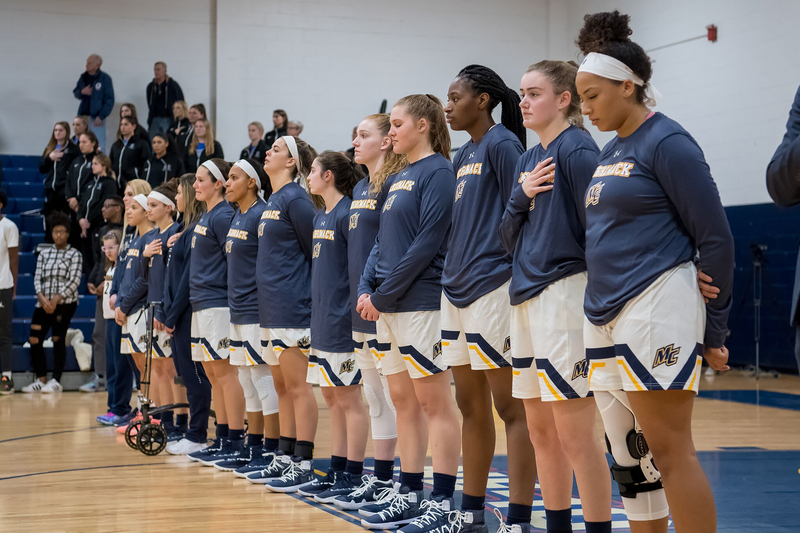 The Women’s Basketball team is on a mission this year, and they are hungry to finally get back on top of the Northeast 10 conference. Their record may be 0-2 in NE-10 play, but the intensity is right there. Both games were extremely close and finished within just four points. No team can succeed without all first being on the same page. When it comes to addressing the problems and struggles the team has had so far, Alves is fairly confident the team could very easily bounce back and make their goals. The Warriors are ready to turn this season around, and make that early season push to clinch a spot in the NE-10 playoffs as early as possible. With only the top-five teams making the playoffs, the Warriors find themselves in a bit of a hole to start the year. Even with this slow start, they continue to find something to drive them every step of the way. Merrimack is driven and looking to “do damage” as time goes on. With sophomore redshirt Giulia Orlando coming back soon, and Merrimack’s leading scorers beginning to find their stroke again, these next new few games will be fun to watch.